After a number of forgettable dates with colleagues from work, Jane (Hilary Maclean) decides to see if the latest craze of speed dating is the solution. With work taking over her life Jane had missed out on meeting that special someone. After a number of forgettable dates with colleagues from work, she decides to see if the latest craze of speed dating is the solution and signs up with "Xpress Match, the UK's No. 1 dating service!" (a fictional dating company created especially for the production!). 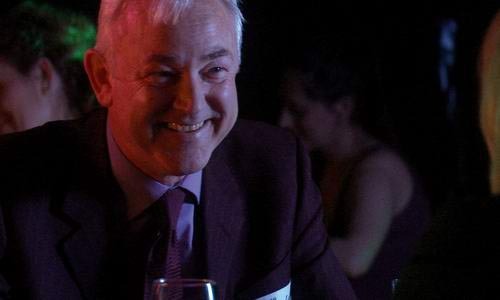 Based on his own experience of speed dating, writer and director Leon Chambers leads Jane (Hilary Maclean) through a rollercoaster ride of dates. Will any of them be her Mr Right? Nobody's Perfect has had many screenings at film festivals all over the world. It was a finalist at The Village D-Cinema Film Festival and also at the Palm Springs Short Film Festival. The latter being one of the festivals that nominations for the short film category at the Oscars are selected from. I had been speed dating a few times, met a couple of women, neither had worked out, but it was a fun experience. The events I had been on in London were well organised and the women were all professional and pleasant people. I then went to a smaller event and things were very different. The age range for the evening was 30 plus. I was in my mid-thirties and it wasn't long before I realised I was the youngest there by quite a few years. If I had wanted a friendly aunt, I would have been fine. Instead I went home that evening having not ticked a single woman. I realised that there was a wealth of characters to draw upon and decided to go to a few more evenings in search, not of a partner, but of inspiration. It turned out to be rather successful, as I not only came away with various ideas, but a date. The script came together quite easily. I then had the task of finding the fifteen featured actors and half a dozen extras I needed. I started by asking actors I knew and I am pleased to say everyone I asked said yes. Not only did everyone jump on board, but even suggested friends who could fill the gaps. With a script and cast in place I now needed a crew. I had already decided to shoot this on High Definition, but needed guidance from an experienced DoP. I placed an ad on Shooting People (A web based resource for film makers) and finally settled on Tim Sidell. He not only brought his knowledge and his experience, but also his contacts with both VMI for camera equipment hire and FTVS for lighting hire. The crew then came together through people either Tim or I knew, and further ads on Shooting People. We decided to shoot the film on the DVCProHD format, as we would be able to use quality lenses and would be able to edit it in it's native format in Final Cut Pro. A couple of days before the shoot we were asked by VMI if we would be interested in using the prime lenses in place of the standard zoom we were going to use, as they needed it for another hire. It was not a difficult decision. Meanwhile John Hasler, the producer, had been sorting out catering and room hire with Three Mills Film Studios. We had decided to shoot this in a rehearsal room and not an actual bar, so we would have more flexibility. With the rehearsal room sorted for filming I then made a start at building the bar and sourcing the props we needed. Due to budget reasons and availability of the actors, we had decided to shoot the film over one very long day. The room was booked for the whole 48 hours of the weekend of 4 th May, so the plan was to get-in, dress and light the set on the Saturday and film all day on the Sunday. I knew this was going to be tight, but it was the only way I could see us getting the film shot. The main problem was the fact that I had to miss the FA Cup final on the Saturday where my beloved West Ham lost to Liverpool on penalties. It turned out Adrian the focus puller, was also a fan and disappeared off to the pub for the game. I continued the get-in with a radio firmly clamped to my ear. The day of the shoot arrived and the careful plans John, Tim and myself had made paid off, as we finished the shoot in the early evening. We had planned all the shots, which lenses to use, what the camera movement would be and when the actors would be needed. The only answer to getting it shot was to do all the shots of the men and the wide shots first. Then do the shots of Jane (Hilary Maclean) once all the rest of the cast had finished. This made Hilary's job that much harder as she was acting opposite either myself, John or Hugh, the camera assistant. However she more than coped. By 8pm we had finished the shoot and then we had until midnight to get out. A very hard four hours followed, but by midnight we were on the road home. We arrived at my house around 1.30am in the morning and unloaded all the gear. I'm not sure my neighbours were too enamoured, but nobody's perfect!